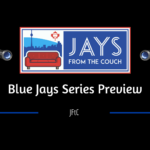 Join Jays From the Couch as we highlight some Blue Jays prospects off to hot starts with the bat. The Minor League season got underway on April 4th, a week ago Thursday. The Blue Jays minor league system will be under the microscope this season more than any other previous season. Fans will be keeping close tabs on prospects such as Vladimir Guerrero Jr., Bo Bichette, Cavan Biggio, and many more. If you’ve been checking in each morning with Jays From the Couch’s MiLB recaps you will know several hitters in the system who had a very good season-opening week. The 24-yr-old had a Triple-A debut to remember, going 3-for-4 with a home run, two RBI, a stolen base, and a run scored. He has one hit in each of the following 5 games. Cavan showed off his excellent eye at the plate with 3 walks on April 6th, going 1-for-2 with a pair of runs. He went 1-for-2 with his 2nd home run (solo) and two more walks the next day, April 7th. Overall, Biggio paces the system with a 1.320 OPS, going 8-for-20 with 4 runs scored, a triple, 2-HR, 3 RBI, 5 BB, 4 K, and a SB while batting .400 with a .520 OBP in 6 games. Selected in the 2nd round of the 2017 Draft, Danner has already set a new career high in longballs just 6 games into 2019. Danner played 34 and 32 games in 2017 and 2018, hitting 2 home runs in each season. After batting .279 with a .409 OBP and .432 SLG with the Bluefield Blue Jays, Hagen Danner is getting his first taste of Full-Season A-Ball as a member of the Lasing Lugnuts. Danner is 3-for-22 batting just .136 with a walk and 5 strikeouts in 22 at-bats but those three hits have all cleared the wall for home runs. Another 20-yr-old catching prospect getting his first taste of Full-Season A-Ball as a member of the Lansing Lugnuts, Kirk is swinging a hot bat in his first 6 games. Kirk batted .354 with 10 doubles, a triple, 10 HR, and 57 RBI while posting a .443 OBP and .558 SLG in 58 games with Bluefield in 2018. So far, he is batting .333 with a pair of doubles, a HR, and 5 RBI while drawing 5 walks and striking out 3 times in 7 games. Another catching prospect off to a good start, Riley Adams returned to Dunedin in 2019 after batting .246 with 26 doubles, a triple, 4 HR, and 43 RBI in 2018. Adams hit a two-out, two-run home run in game 1, an 11-2 blowout win for the D-Jays. In Game 2, Adams picked up his first multi-hit game going 3-for-4. Riley Adams hit a double and two singles, driving in 2 runs. In 5 games, Adams owns a .357/.550/.714 slash with a pair of doubles, a HR, 4 RBI, 4BB, and 4K. The 20-yr-old utility player has established a nice pattern going over the first 6 games. Otto has collected one hit, two hits, 0ne hit, two hits, one hit, two hits. Lopez smashed his first A-Ball home run on April 7th, going 1-for-4 with 2 RBI. Otto Lopez has also done a great job getting on-base with 5 walks and just 2 strikeouts. He is also using his speed with 5 stolen bases, one in each of his last 3 games. Overall, Otto Lopez is batting .409 with a 1.109 OPS. The 23-yr-old outfielder has an outstanding season with the Dunedin Blue Jays in 2018, leading the Florida State League in a number of offensive categories. As a member of the Double-A New Hampshire Fisher Cats, Palacios has collected hits in all 6 games with a pair of 2-hit games and a home run. April 10th, Palacios stepped to the plate with Vinny Capra standing on 2nd base in the 9th inning with game tied 4-4. A line drive single to right field won the game and Palacios finished 2-for-5 with a run scored and a stolen base. Joshua Palacios is batting .333 with 3 stolen bases, a double, 3 runs, 5 walks, and 4 strikeouts. 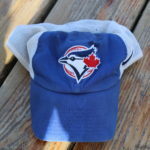 NEXT Next post: What the Blue Jays can expect against the Rays?